New Delhi, Oct 23 (IANS) The Congress on Monday termed the appointment of an interlocutor for Jammu and Kashmir as admission of “blunder” by the Modi government as also failure of its “muscular approach”. 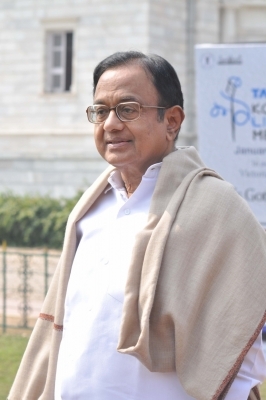 Party leader and former Union Home Minister P. Chidambaram said the announcement was a major victory for those who had been advocating a political solution to the Kashmir problem. “From no-talks to talks-with-all-stakeholders is a major victory for those who had strongly argued for a political solution in Jammu and Kashmir. With the appointment of an interlocutor, I hope the government has finally admitted muscular approach has failed,” Chidambaram tweeted. Chidambaram was reacting to Home Minister Rajnath Singh’s announcement of beginning a dialogue process in the state and the government appointing former Intelligence Bureau Director Dineshwar Sharma as its interlocutor with a mandate to talk to “anyone he wants to”. He said the government’s think tank was clueless on various issues including the Goods and Services Tax, demonetisation and Jammu and Kashmir. “What opposition parties have been saying on these issues has proved to be 100 per cent right. These failures are because of non-application of mind on different issues,” Azad said.